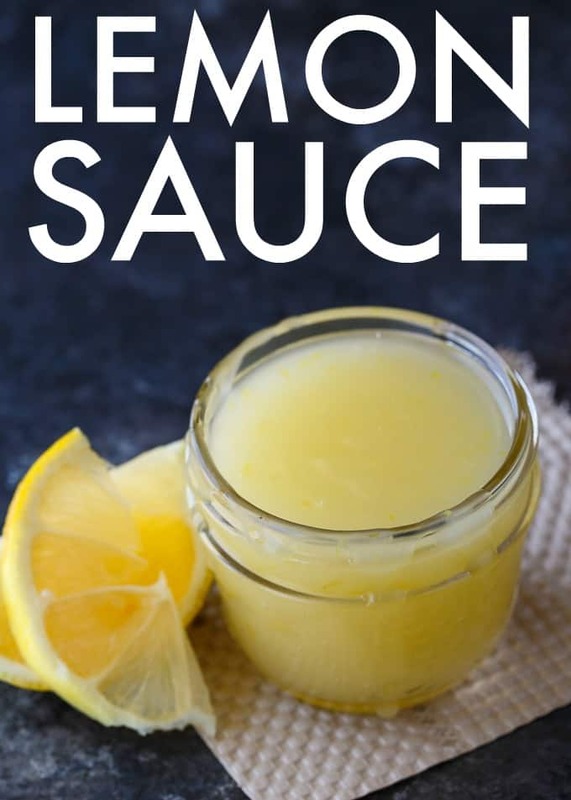 Lemon Sauce is tangy and sweet! 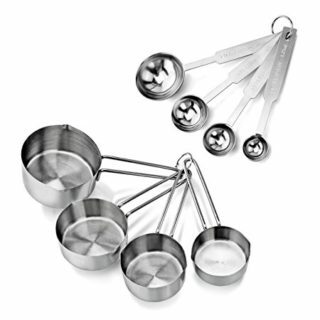 Serve over ice cream, cake, bread pudding or pancakes. Is there anything more like summer than the sweet, tart flavour of lemon? 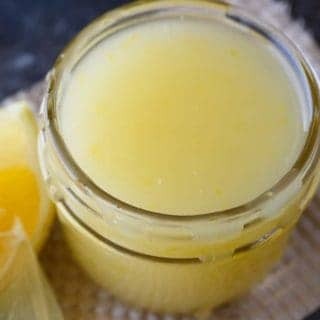 I made a Lemon Sauce for desserts and it is to die for! I wanted to grab a spoon and eat it from the jar. 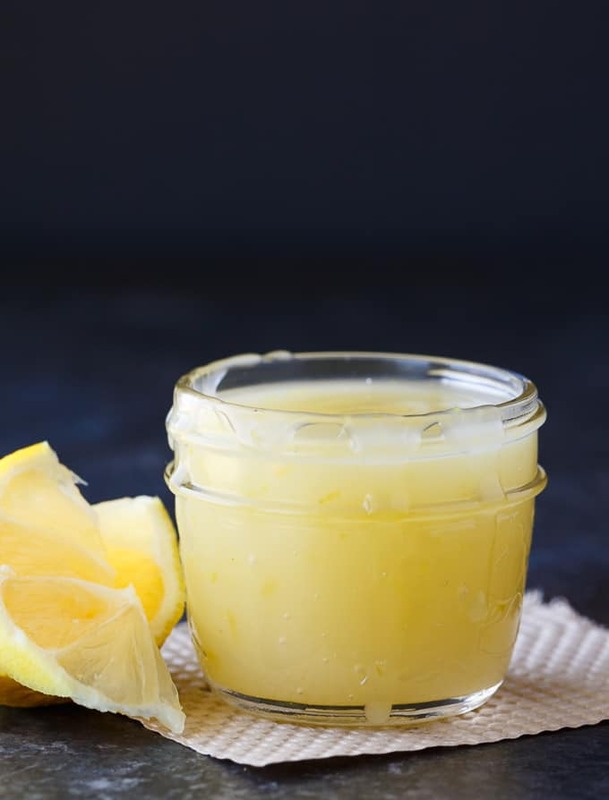 This Lemon Sauce is a dessert topping. I know they have lemon sauce for chicken, but this recipe isn’t one of them. I’ll make one down the road for the blog. 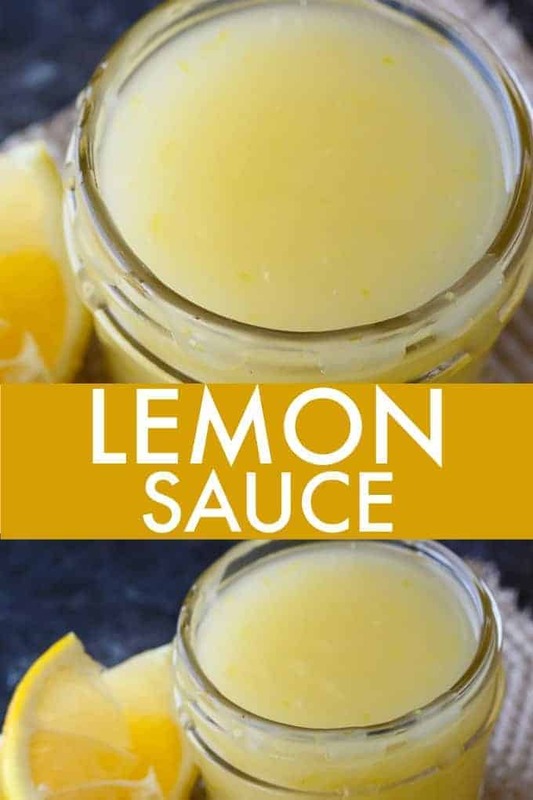 What I love about this Lemon Sauce is how versatile it is. 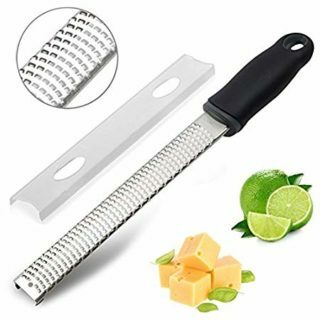 Use it for ice cream, cakes, cheesecake or whatever dessert you are baking. Add a little sweet sunshine! To start, stir together sugar and cornstarch in a saucepan. Place it on the stove over medium heat and gradually stir in water. Cook until the mixture starts to boil and then leave it boil for one minute. Remember to be stirring constantly during this entire process so there is no lumps and it doesn’t burn. Remove the pot from the heat. Then stir in lemon zest, lemon juice and butter. Let it cool at room temperature before serving. It will thicken up as it cools. It tastes best served warm. I stored mine in a jelly jar, but a plastic reusable container would also work. It makes about 1 cup of sauce. You can store it in the fridge for up to 10 days. I recommend heating it a little in the microwave before serving. I made lemon ice cream sundaes for my daughters. They loved them. I know that’s not a typical sundae topping, but it worked well. 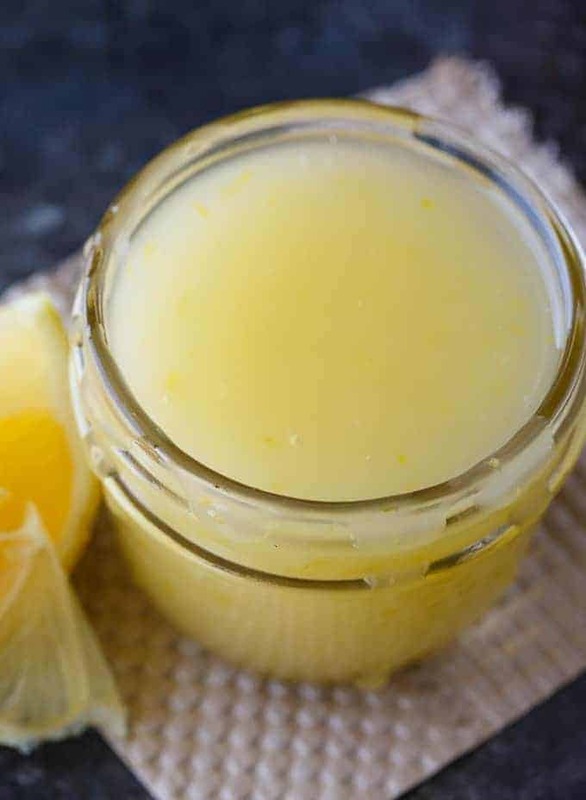 Craving more lemony goodness? Try my Lemon Coconut Macaroon Cookies, Lemon Pound Cake Muffins and Lemon Bars. Tangy and sweet! 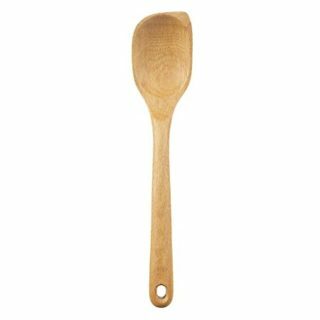 Serve over ice cream, cake, bread pudding or pancakes. Add sugar and cornstarch to a saucepan over medium heat. Gradually add water and stir to combine. Cook until mixture starts to boil and then boil for 1 minute, stirring constantly. Remove from heat. Stir in lemon zest, lemon juice and butter. Let cool 30 minutes before serving. Serve warm. Store covered in the fridge for up to 10 days. Oh my goodness this looks amazing! Hope you are having a great weekend and thanks so much for sharing with Full Plate Thursday! Something is WRONG with your recipe. I made it exactly as you instructed and it was way too thick. When I tried serving it on gingerbread, it was so thick it was like solid clumps of gelatin. I think the problem may be using 2 tablespoons of corn starch. Maybe it should be 2 teaspoons instead. There’s not much liquid (a bout 1 cup) to be using 2 tbsp. I looked at some other recipes and they used a lot less corn starch. Hope this saves others from making this mistake.